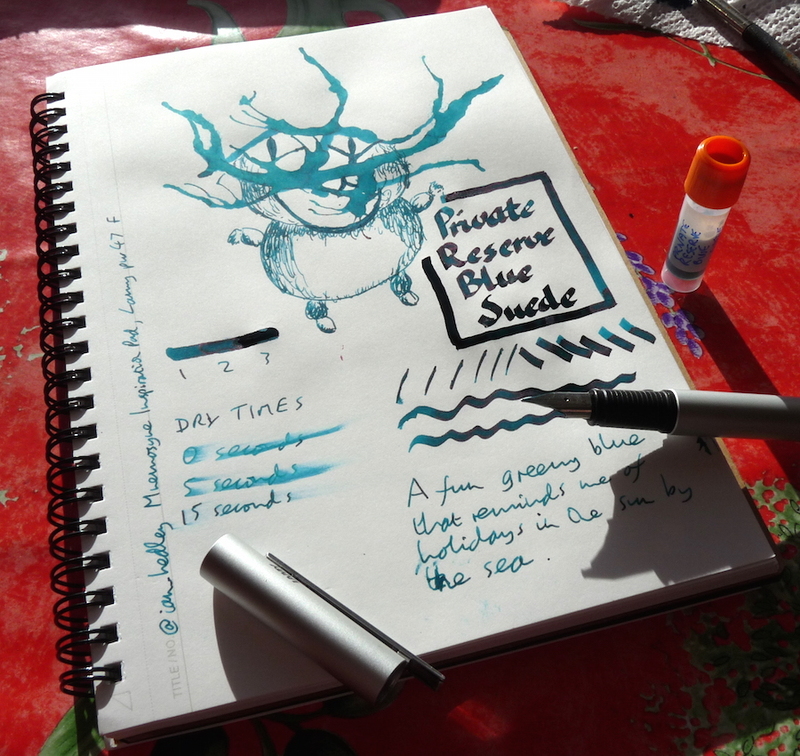 Private Reserve Blue Suede Ink Review – Pens! Paper! Pencils! This is a lovely greenish shade of blue. As is common with most Private Reserve inks it’s very saturated. Dry times aren’t horrific but aren’t exactly lightning fast either. This sample was sent to me by Paul Joynes – thank you Paul! Paul’s fairly new site, Gorgeous.INK, is fast becoming one of my favourite sites for finding out about new colours. 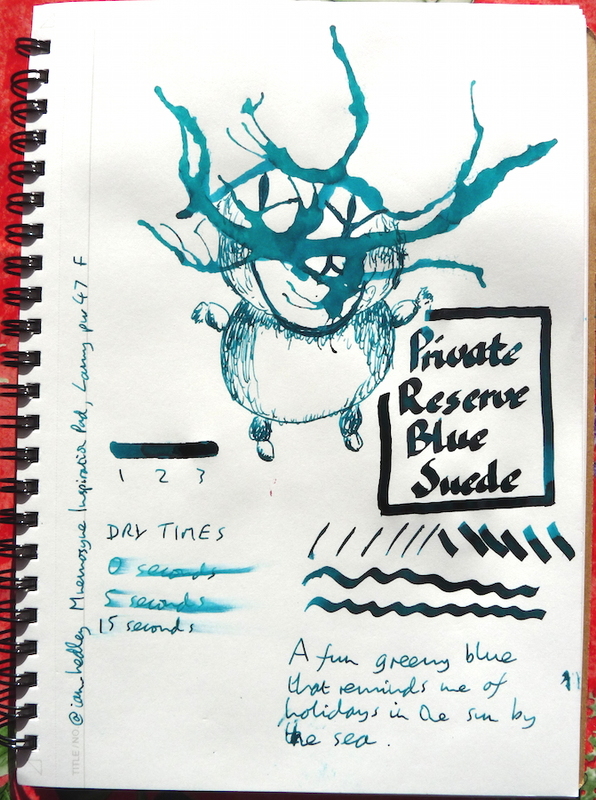 You can find some more reviews of Private Reserve Blue Suede ink on Pennaquod. Reminds me of Diamine Steeel blue, thanks for this, also the link to Paul Joynes site, a useful one!